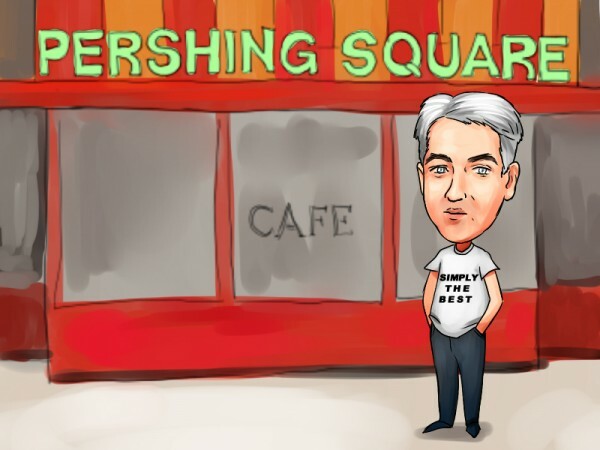 William Ackman‘s Pershing Square has boosted its stake in Howard Hughes Corp (NYSE:HHC), a new filing with the SEC revealed. Pershing Square reported owning 5.48 million shares, up from 3.57 million held at the end of September. Pershing Square’s stake amasses 13.2% of the company’s common stock. The stake held by Ackman’s fund was increased through purchasing Warrants that allow the fund to acquire additional 1.92 million shares. With more than $10 billion in its equity portfolio, Bill Ackman managed Pershing Square concentrates on Services, Consumer Goods, Basic Materials and Financial sectors. The hedge fund has invested more than 27% of its portfolio value in Canadian Pacific Railway Ltd (NYSE:CP). It owned 23 million shares worth $2.85 billion in the company at the end of the third quarter of 2013. Pershing Square has a substantial stake in Air Products & Chemicals Inc (NYSE:APD) with $2.19 billion riding on 20.5 million shares. The other notable investments include $1.35 billion invested in 20.8 million shares of Beam Inc (NYSE:BEAM). Howard Hughes Corp (NYSE:HHC) owns, manages and develops commercial, residential and mixed-use real estate throughout the U.S. The operations are spread over 16 states. Howard Hughes then leases the space to retail as well as large corporate. Recently Exxon Mobil Corp. (NYSE:XOM) has signed an agreement to lease approximately 478,000 square feet in one of the properties being developed by The Woodlands Development Company, a subsidiary of Howard Hughes Corp. Howard Hughes has also inked a deal with iPic Entertainment to develop an eight-screen, 505-seat luxury movie theater in the South Street Seaport’s Fulton Market Building in New York City. It is scheduled to open in the second quarter of 2015 and is expected to be New York City’s first luxury movie theater. Apart from Pershing Square, Horizon Asset Management, managed by Murray Stahl, owned 5.38 million shares worth $604.07 million in Howard Hughes Corp (NYSE:HHC) at the end of the third quarter. James H. Litinsky-led Jhl Capital Group is also bullish about the company. It had 506,000 shares of the company, valued at $56.86 million at the end of the third quarter.